University of Granada scientists confirm that ectotherms–like reptiles and amphibians–do follow "Bergmann's rule". The 19th-century naturalist posited thatanimals inhabiting colder climates have a larger body size. The study has been published in the prestigious Journal of Evolutionary Biology. Scientists at the University of Granada (UGR) have found that the long-tailed lizard,Psammodromus algirus, is larger when living at high altitude–with a cold climate–than at a lower, and therefore warmer, altitude. In addition, lizards living at over 2000 meters retain heat longer because they are larger. Together with Allen's rule,Gloger's rule, and others, Bergmann's is one of the great, classical,macroecological rules. It was established by the German naturalist Carl Bergmann in 1847. He postulated that endotherms like birds and mammals, which generate heat by using metabolically-costly, internal physiological mechanisms,are larger in cold habitats so their surface/body volume ratio decreases and, therefore, the rate of heat loss decreases too. This tendency, called the "Bergmann cline", has been found in many endotherms. However, until now the situation with ectotherms–like reptiles and amphibians, among others–was not so clear because they depend on external sources of heat, often solar heat, to control body temperature. The generally accepted explanation is that larger ectotherms take longer to lose heat in cold habitats, which would benefit them, but would also raise their temperature more slowly, which would be disadvantageous. Moreover, the mechanism that Bergmann proposed as an explanation for the clines–the greater heat-conservation capacity of larger animals–has never been demonstrated. 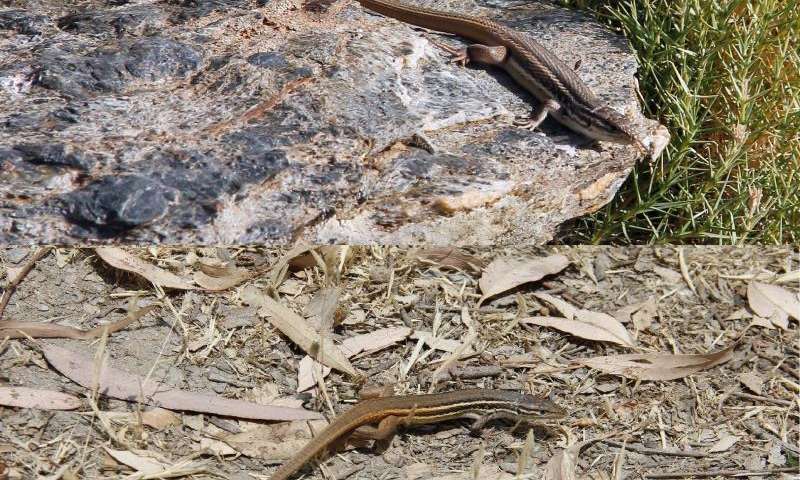 In their article, Francisco Javier Zamora-Camacho, Senda Reguera and Gregory Moreno-Rueda, researchers from the UGR's Department of Zoology, have shown that an ectotherm, the long-tailed lizard Psammodromusalgirus, reaches larger sizes at higher altitudes in the Sierra Nevada mountainsof southern Spain, which correspond to the Bergmann clines. In addition, for the first time in nearly 200 years, the researchers have shown that the mechanism underlying the Bergmann clines is effectively that proposed by Bergmann himself: larger animals really do have slower cooling rates. This is an advantage in cold climates as it enables them to retain heat–which they find difficult to aqcuire–for longer periods.